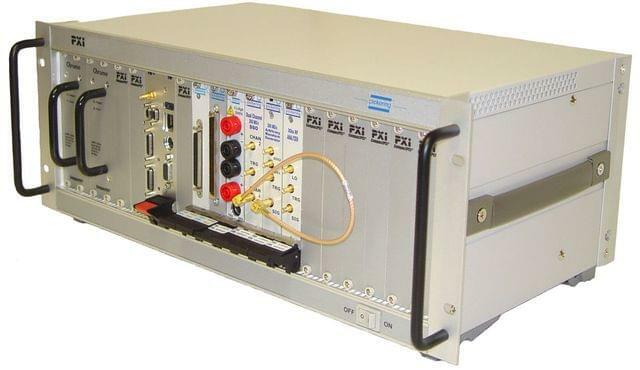 This PXI chassis includes all the features and performance required by version 2.1 of the PXI standard and supports a control interface or embedded controller and up to seven more 3U peripheral modules. Mechanical expansion space on the right hand side allows the chassis to accept multi-slot modules, such as the BRIC, while only occupying one electrical slot. 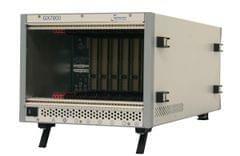 The 40-908 chassis can be controlled from a PC using our PCI to PXI Control Interface 41-921. It is fitted with three 55cfm fans to ensure efficient cooling of the chassis and modules. Each power supply is capable of supplying entire system power, allowing power supply replacement without interrupting system operation. Power supply voltage and fault monitoring is through front panel LEDs.